Mark Traynor, UCare President and CEO, was recognized as one of Minnesota’s most powerful business executives in the Minnesota 500 from Greenspring Media. Minnesota 500 profiles Minnesota’s best and brightest individuals across business sectors. Traynor was honored for his health care leadership. For the ninth consecutive year, UCare was named a Star Tribune Top 150 Workplace. UCare ranked 12th out of 30 Minnesota organizations in the large employer category recognized for workplace excellence. UCare is one of only 7 companies to earn the recognition all nine years of the recognition program. Patrick Mitsch, UCare Pharmacy Director, was selected by Managed Healthcare Executive magazine as one of ten nationally recognized emerging leaders in managed care. The magazine selected Mitsch for his dynamic leadership in key pharmacy initiatives and actions that support the health of UCare members. Ghita Worcester, UCare Senior Vice President of Public Affairs and Chief Marketing Officer, was named a Woman of Courage by the Women’s Health Leadership TRUST for longstanding commitment to the community. The 2018 Courage Awards celebrate individuals who have taken a risk and demonstrated courage in navigating the unknown to help the health care industry transform its future. 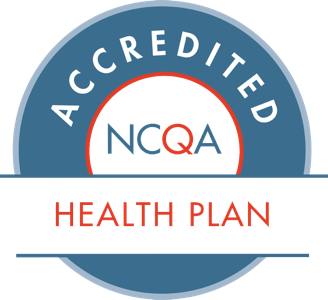 UCare’s UCare for Seniors Medicare plan was recognized by the National Committee for Quality Assurance (NCQA) for excellent member experience and quality outcomes. It is one of the highest-rated plans in NCQA’s Health Plan Report Cards nationwide listings, and one of only two Minnesota plans awarded Excellent. This national publication named UCare’s Medicare plan among the best in the country based on its high-quality Medicare star rating of 4.5 out of 5 stars. For the eighth consecutive year, UCare was named a Star Tribune Top 150 Workplace. UCare ranked 12th out of 30 Minnesota organizations in the large employer category and was recognized for workplace excellence. UCare is one of only 10 companies to earn the recognition every year since the rankings began in 2010. UCare won two Silver Awards in the national health care marketing competition. The silver honors were earned by the health plan’s 2014 Report to the Community and its My UCare mobile app for UCare members. For the seventh consecutive year, UCare was named a Star Tribune Top Workplace. UCare ranked 14th out of 30 Minnesota organizations in the large employer category and was recognized for workplace excellence. UCare also received a special Communication excellence award and is the only company to have earned this honor twice since the rankings began in 2010. Hilary Marden-Resnik, Senior Vice President and Chief Administrative Officer, was selected by Minneapolis/St. Paul Business Journal as a honoree for 2016. She was one of 51 business women recognized for their professional achievements, leadership qualities and contributions to the broader Twin Cities community. UCare’s mobile app won a Merit Award in the national Spring 2016 competition. The app enables UCare members to access information about their benefits, claims, ID card, providers and health plan contact information. A new member guide for UCare’s EssentiaCare Medicare plan was honored with a Merit Award in the 2016 competition. “Your Guide to Good Health” helps new EssentiaCare enrollees take advantage of all the benefits of their Medicare Advantage plan. Jim Eppel, UCare President and Chief Executive Officer, was recognized by Twin Cities Business as a leader of note, joining a distinguished list of CEOs of Minnesota’s largest companies and many of the state’s most renowned thought leaders and public influencers.​ Jim was recognized for having “the insight, experience and smarts” to lead UCare forward. UCare won Gold and Bronze Awards in the national 2015 Aster Awards​ competition, one of the largest national health care marketing competitions of its kind. The Gold Award went to UCare’s online and free HelpU interactive information resource for people seeking answers to Minnesota individual and family health insurance questions. The Bronze Award went to a special magnet with information about the health plan’s language interpretation phone line. 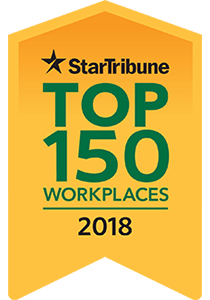 For the sixth year running, UCare was named a Star Tribune Top 150 Workplace, ranking 8th in the large employer category in Minnesota. UCare was one of only 13 organizations to win the recognition in each consecutive year since the survey debuted in 2010. The 96% of UCare employees who responded to the Top Workplace survey gave UCare high marks for leadership, workplace flexibility, career opportunities, and benefits. Ghita Worcester, Senior Vice President, Public Affairs and Chief Marketing Officer, was recognized by Minneapolis/St. Paul Business Journal as a Women in Business honoree for 2015. The business publication selected 51 women working in many professions in the Greater Twin Cities and honored them for their professional achievements, leadership qualities and contributions to the community. During the Women's Health Leadership TRUST Forum on April 21, 2015, Nancy Feldman, UCare President and CEO, was awarded the highest honor - the 21st Century Pinnacle Leader Award - for being a “trailblazer” in leadership, transformation, and innovation in Minnesota health care. The TRUST gives this award only when it recognizes a great health care woman who has made a difference in Minnesota’s health care industry. Mark Traynor, UCare Senior Vice President and General Counsel, was the sole recipient of the Minnesota Law Review Distinguished Alumni Award in 2015. He was recognized for his legal and leadership achievements in the health care sector, both through government and non-profit work. Mark was honored by the Minnesota Law Review at a special event at the IDS Center’s Windows on Minnesota on April 2, 2015. Nancy Feldman, UCare President and CEO, was honored by Twin Cities Business as one of six Wonder Women who have achieved remarkable leadership, mentorship, and community service during their careers. Nancy was selected for “serving and often steering organizations, and spearheading causes, to improve Minnesota’s culture and economy.”; She was also recognized for helping others pursue their own goals and aspirations, and, in the process, helping create a new generation of leaders. In honor of UCare’s longstanding support for the Southern Minnesota Regional Legal Services (SMRLS) Senior Initiative and Senior Legal Fair, UCare was recognized with the 21st Century Leadership Award. The award is given to an organization that has made major, forward-looking, innovative, and broad-based leadership contributions to advance equal justice for low-income people. UCare received a gold award for its “UCare for Seniors sales kit” in the 2014 National Mature Media competition, one of the largest national health care marketing competitions of its kind. Gold award recipients represent the top 5% of entries. The sales kit was honored for its format, content, creativity, relevance, and overall quality. The “Refer a Friend” UCare for Seniors mailer won a merit award in the same competition and was also honored for content, design, creativity, and overall quality. UCare’s asthma home visiting/case management program led by Vice President and Chief Nursing Officer Jeri Peters won the Community Outreach Award in the 2014 Twin Cities Business Outstanding Health Care Awards. The innovative asthma intervention program pairs respiratory therapists with members to help them follow their asthma action plans. It has resulted in a more than 50 percent drop in ER visits and reduced hospitalizations. UCare received two Gold Aster Awards in 2014 for excellence in communication. UCare’s blog, Health Smarts, won a Gold Award for its inspiring content promoting healthy lifestyles and personal, health discovery stories. Also receiving a Gold Award was the UCare Connect sales brochure communicating the features and benefits of UCare’s disability health plan. The Aster Awards Program is an elite national competition recognizing excellence in health care marketing and advertising. For the fifth year in a row, UCare was named a Star Tribune Top 100 Workplace, ranking 7th in the large employer category in Minnesota. In 2014, UCare was recognized with a Communications Excellence commendation stemming from positive responses from employees to the question: “I feel well-informed about important decisions at my company.” Employees also gave UCare high marks for leadership, workplace flexibility, career opportunities, and benefits. UCare was recognized for its generosity in providing a UCare Fund grant to Fairview to open and maintain a Health Commons in the Cedar-Riverside neighborhood of Minneapolis. The Health Commons improves access to health care, fosters trust in health care providers, and enables the residents of this neighborhood to live healthier, productive lives. Beth Monsrud, UCare Senior Vice President and Chief Financial Officer, was named a CFO of the Year in the health care category by the Minneapolis/St. Paul Business Journal. She was recognized for her contributions to UCare’s financial management, strategic leadership, and community involvement. Three UCare health promotion and member resource materials won awards in the 20th National Health Information Awards. The UCare Connect Quick Start Guide for members with disabilities won a Bronze Award, and the Parents’; Guide and Health Portions Cutting Board each won Merit Awards. Sponsored by the Health Information Resource Center, this national& honors program recognizes the nation’s best consumer health information programs and materials. The “UCare and You” health and wellness program brochure won a Merit Award in the 2013 National Mature Media competition, one of the largest national health care marketing competitions of its kind. The brochure was honored for its format, content, creativity, relevance, and overall quality. The Health Information Resource Center honored UCare with a Silver Award for UCare’s recently redesigned website. The Web Health Awards recognize the nation’s best digital health resources. For the fourth year in a row, UCare was named a Star Tribune Top 100 Workplace, ranking 9th in the large employer category in Minnesota. Employees gave UCare high marks for leadership, workplace flexibility, career opportunities, and benefits. UCare received three Aster Awards in 2013 for excellence in communication. The Healthy Eating Measuring Ladle won a Gold Award; the Medicare Enrollment Reminder won a Silver Award; and the Parents’ Guide won a Bronze Award. The Aster Awards Program is an elite national competition recognizing excellence in health care marketing and advertising. UCare’s “Then and Now” ad campaign received the Service Industry Advertising Awards "Best in Show" among all Gold Award winners in the Magazine Advertising/Series category. UCare also received a Silver Award for the UCare eGuide. The artfully designed inflatable fitness dice in UCare's Ready, Get, Fit! kit won a Silver Award for Health Information, and UCare's Health Screening Guide for Seniors won a Merit Award for Patient Education Information in the 19th National Health Information Awards. This Health Information Resource Center honor program recognizes the nation’s best consumer health information programs and materials. The UCare for Seniors mammogram voucher won a Merit Award in the 2012 National Mature Media competition, one of the largest national health care marketing competitions of its kind. The voucher was honored for its format, content, creativity, relevance, and overall quality. UCare was one of eight organizations honored by the Little Brothers - Friends of the Elderly Minneapolis/St. Paul Chapter with an Ambassador Award. The award recognized UCare’s work connecting elders with the community through event sponsorships, volunteering, and grants. Positive results of an employee survey placed UCare ninth in the large employer category of the Star Tribune Top Workplaces 2012. Employees gave UCare high marks for leadership, workplace flexibility, career opportunities, and benefits. UCare received a Silver Aster Award in 2012 for its artfully designed and written RENEW brochure. RENEW is UCare’s comprehensive worksite wellness program for employees. The Aster Awards Program is an elite national competition recognizing excellence in health care marketing and advertising.